Our Books Cambodia – Flower of – Siem Reap? Flower of – Siem Reap? Below: Em Satya, the Arthouse crew, and children sharing the gallery with their own exhibition artwork derived from Spotlight workshops. For Em Satya and family it was their first visit to Siem Reap. 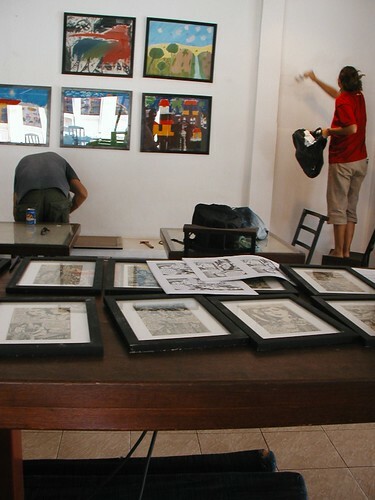 Next exhibition… Battambang? Meanwhile, you can still see the graphic novel (10 pages weekly) at Expat-Advisory.com!